Google introduced WebP image format that provided lossless and lossy compression. It aims to create web faster by offering same quality in a smaller size. It claims that images are 26% smaller in size compared to PNGs and 25-34% smaller than comparable JPEG images. It also supports transparency. You can now see many websites that have started using this image format for making their website faster. Both WebP and JPG have their own pros and cons. JPG files are ideal for high-quality images, but WebP offers even smaller size. JPG doesn’t support transparency but WebP does support. So, WebP is more suitable for web images even if JPG is most popular. The only problem is that WebP works only on the web. Most of the photo editing software does not support it. If you got a WebP image and want to edit it or use it in some other image, you need to convert it to any other known image format. 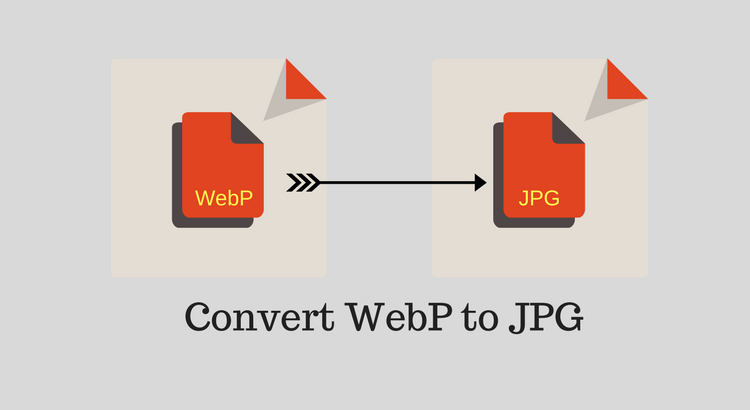 In this article, I am listing best ways to convert WebP to JPG image format. As JPG is popular and is supported by all editing software, you can use it. I have already mentioned Cloudconvert many times in several other articles related to file format conversion. This tool also supports conversion of WebP to JPG or JPEG. You just need to visit this link, select the WebP file and click on Start Conversion button at the bottom side of the page. Zamzar is also a nice tool that I mentioned several times in past. It is also an online file format conversion tool with an option to WebP to JPG conversion for free. You just need to choose the source image, select the target file format and click on convert button. This is another nice website with lots of file conversion tools. Here, you need to upload the WebP file or paste the Image URL to convert to JPG. You can also convert WebP to PNG and other formats with other tools. There is also a tool for creating WebP images. WEBP to JPG is a dedicate online tool for converting WEBP images to JPG images online for free. You can upload a file, select by URL or upload from cloud storage. It takes few seconds to convert and then gives you the download link. This is the last tool on the list. I tested its WebP to JPG conversion tool and found it pretty good.It supports file of size up to 200 MB. This tool comes with lots of other conversion tools. If you need that, you can try. These were 5 tools to convert WebP to JPG. All these online tools are easy to use. You only need to upload the image, select the output format (JPG is default) and then click on covert. There is nothing complicated. If you still face any issue with any of these tools, you can always contact me and I will surely reply. I have written lots of articles on image conversion and file conversion. Do not forget to read those articles.